Since I was a little girl, all I can think about is living abroad. Travel to many countries. Meet new people. Discover something I never knew. I travel all the way across the globe. It took me about 30 hours of long flights, long waits to finally get here. To finally set foot on the of the free. So many interesting stories to tell. How me and my friends literary ran all the way across Malaysian airport to catch another flight to Heathrow airport in London. That was an amazing experience. I feel like I was in a Korean TV show, Running Man. That was amazing. The biggest airplane I’ve ever been so far, is Malaysian airlines. The seat was comfortable, the food was amazing. I didn’t mind at all about the 13 hours flight. I spent my long flight watching movie and fooling around with my friends. Arriving in Heathrow, London, we sat and waited for our next flight to Dulles Airport in Washington D.C. It was a 6 hours of waiting. So me and my friends went to find something to eat. The waiting room was big. Theres a couple restaurant and shopping place you can find. Me and my friends decided to eat at this coffee shop called “Pret” I know that sounds funny. And right after I took a first bite of my food I realize I don’t have my wallet, which contain my passport, money, credit card, and my ticket. I was head over heels looking for it. Finally the security called my name over the speaker. Yes, my name was announced all over the waiting place of Heathrow airport. So I went there to get my stuff, I feel so embarrassed. And finally its time for me to leave on another big plane. United Airlines. The flight was 9 hours long. 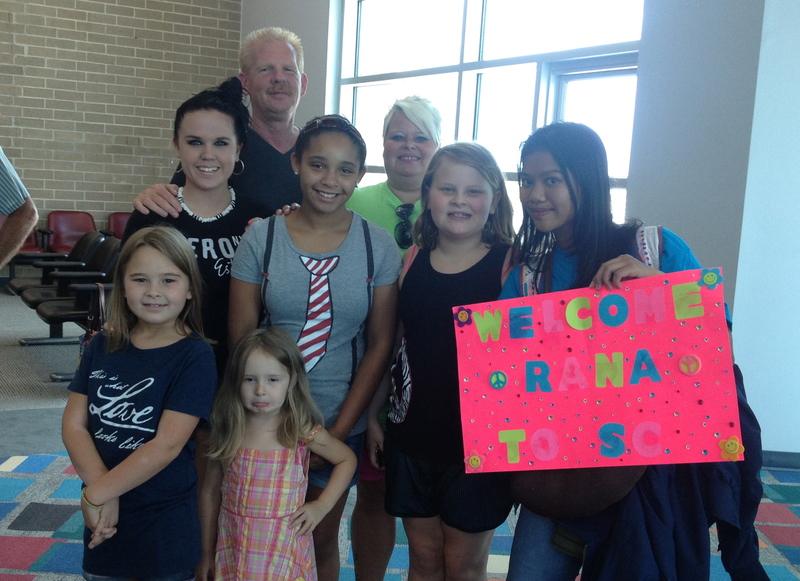 And by the time we arrived the AFS/YES staff welcomed us. I was soooo beyond excited to finally be here. We waited about an hour and finally go to the orientation placr. Hilton Hotel. There were A LOT of people from all over the world. Thailand, Philippines, Turkey, Kenya, South Africa, India, Egypt, and many others. I cant even remember haha. We spent the next 3 days having fun and joy. The last night there we are having a talent night. And it was sooooooo much fun! OMG! After that all the kids from Indonesia gather and cried beacuse were about to be seperated tomorrow. I was so sad. But then I’m excited to finally meet up with my family. The Colemans! We flew to Charlotte, North Carolina. There was me, Bew, Apple, MJ, and Lima. 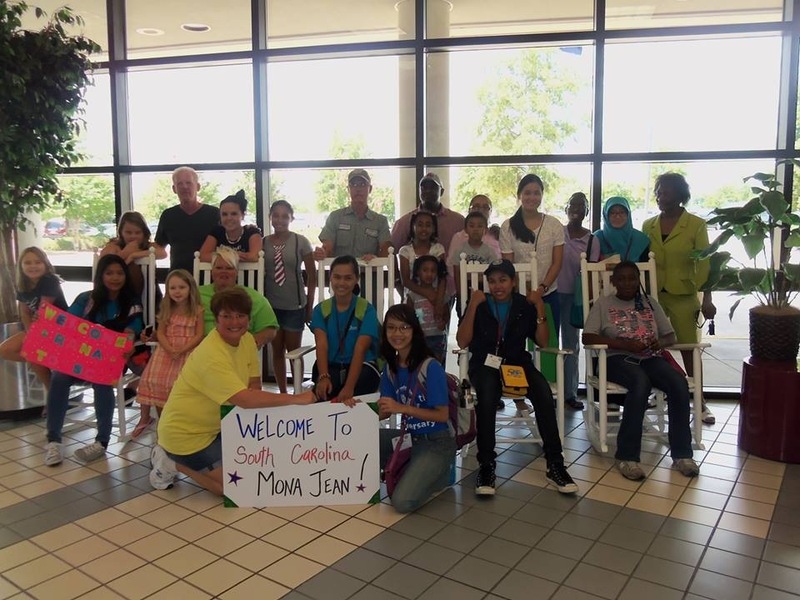 All of us are hosted in South Carolina. And after we wait for about an hour or so we flew to our home.. 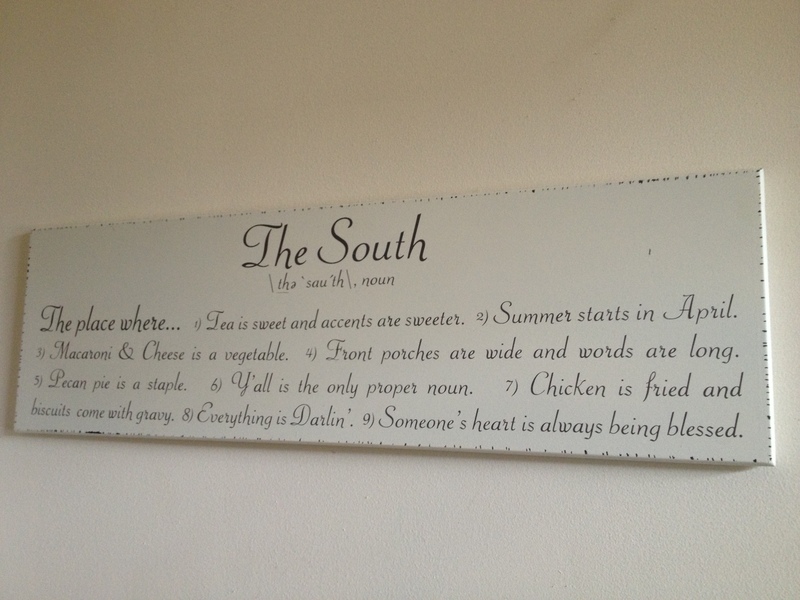 The home of this Southern girl. South Carolina. Posted on October 26, 2013 by Rana Effendi. This entry was posted in Exchange Year, Travel. Bookmark the permalink.